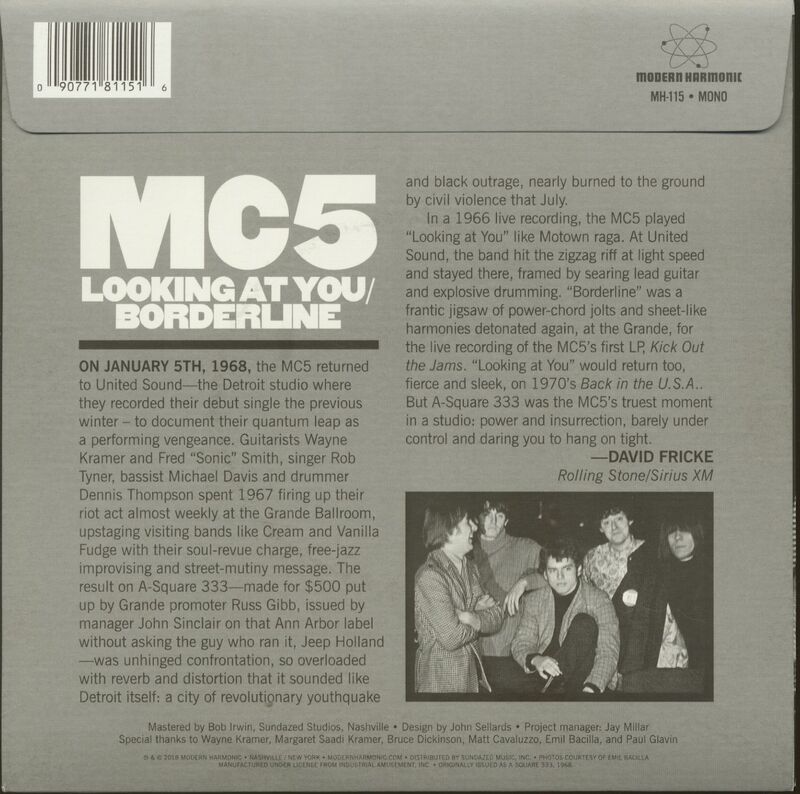 On January 5th, 1968, the MC5 returned to United Sound—the Detroit studio where they recorded their debut single the previous winter – to document their quantum leap as a performing vengeance. Guitarists Wayne Kramer and Fred 'Sonic' Smith, singer Rob Tyner, bassist Michael Davis and drummer Dennis Thompson spent 1967 firing up their riot act almost weekly at the Grande Ballroom, upstaging visiting bands like Cream and Vanilla Fudge with their soul-revue charge, free-jazz improvising and street-mutiny message. The result on A-Square 333—made for $500 put up by Grande promoter Russ Gibb, issued by manager John Sinclair on that Ann Arbor label without asking the guy who ran it, Jeep Holland —was unhinged confrontation, so overloaded with reverb and distortion that it sounded like Detroit itself: a city of revolutiqnary youthquake and black outrage, nearly burned to the ground by civil violence that July. 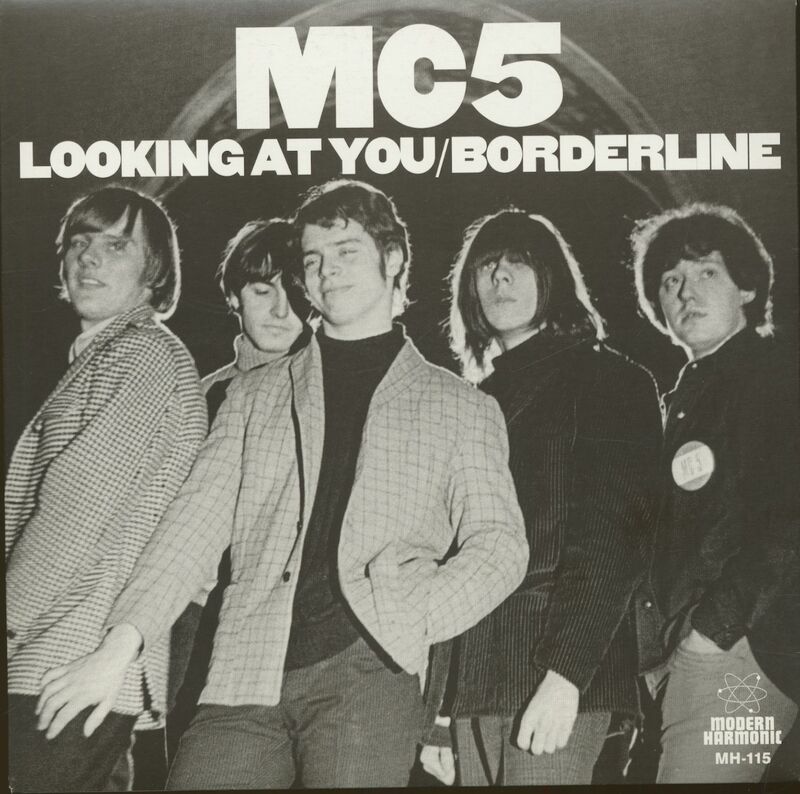 Customer evaluation for "Looking At You - Borderline (7inch, 45rpm, BC, RSD)"